Diversity in the Nursing field is necessary to progress health equity and improve patient outcomes. As a result of efforts in recent years, the Nursing workforce today is more diverse than it was a decade ago, but there is still work to be done. The goal is to have a health workforce that mirrors the nation’s diverse population. As the principal investigator over the NIH-SEPA grant, Angie Millan, RN, DNP, FAAN, NAHN project director and the Nursing director of Children’s Medical Services for the County of Los Angeles Department of Public Health, aims to inform new generations of Latinos to consider Nursing as a worthy and rewarding career, and provide the guidance, support and resources needed to achieve Nursing career aspirations. Teri Murray, Ph.D., dean of the School of Nursing at Saint Louis University said, “Racially diverse students, from populations currently underrepresented in Nursing, will be paired with peer mentors, faculty mentors and seasoned Nurse mentors who are out working in the field. “Mentoring has been shown to be effective for students from underrepresented backgrounds in serving as role models, assisting students to navigate college life and the profession, and in general showing the student the ropes,” Murray told the American. 2018 marks the fourth year of the NAHN Hispanics in Nursing campaign to increase the number of Hispanic Nurses, which is made possible through a grant received from the National Institutes of Health (NIH) Science Education Partnership (SEPA). 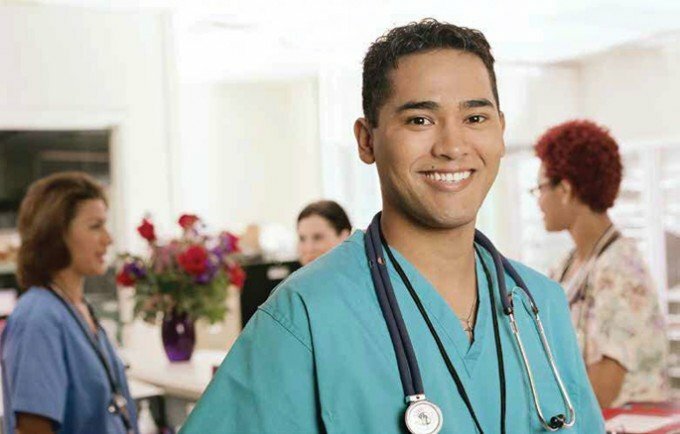 In addition to providing information about which classes to take in high school to prepare for Nursing prerequisites and highlighting the profiles of Latino Nurse role models, the campaign also provides access to Mentors Connection, a database of Latino Nurses who can provide career guidance, advice, and cultural perspective to prospective Nurses.